Discovering new jewelry brands that are trailblazing in unique ways is my absolute favorite–that is why I jumped for joy after learning about The Last Line, a new project recently launched by jewelry veteran Shelley Gibbs Sanders. Bold colors, chic and iconic pieces…and, wait for it…AMAZING prices! You might scroll around the website and wonder, how can these prices be so good for REAL jewelry that is 14k gold and genuine gemstones?! 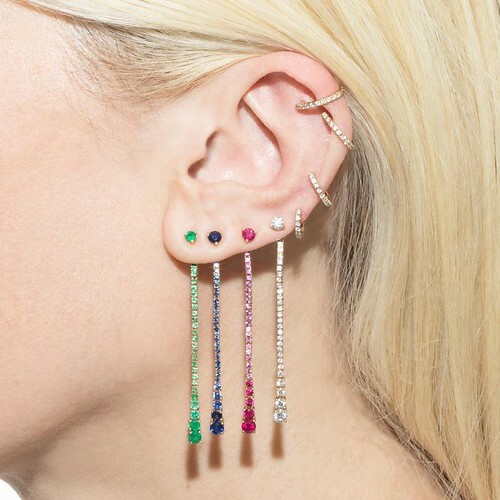 The answer is their philosophy of being direct-to-consumer, never having a middle man, selling new pieces in batches called “drops.” Their latest drop is actually TODAY where they’ve added to all the incredible earring styles you always wished you could find. These ear stacks are what dreams are made of and that is exactly what Shelley set out to do when creating The Last Line. Can her goal of being “the last line” you will ever need hold true for many of you?! Let’s find out! I had the pleasure of interviewing Shelley and we encourage you to check out the website and find your perfect piece! The Last Line is a continued project, I have been designing this collection for pretty much my whole life and I’m so excited to finally share it with everyone. We just launched at the end of July with earrings and there is so much more to come: necklaces, rings, and bracelets! The inspiration behind the name of The Last Line is it is the last place you’ll have need to look for fine jewelry and trust me, I plan to live up to our name. I’ve had the rare opportunity of being on both the design and the production side of the process, which is so helpful and, in the end I am ultimately a consumer so basically it is the trifecta of intel! My career technically began in New York where I studied Fine Arts at Parsons School of Design before returning home to California to train with Master Jewelers in San Francisco. After learning the tricks of the trade, I returned to Los Angeles to begin my career as a jewelry designer. Over time (and companies!) my roles evolved and I became the head designer and creative director for dozens of celebrity jewelry brands and high-end jewelry houses, working with everything from gold, diamonds, and precious stones. When we decided to officially launch The Last Line, it was almost four years ago. I have been designing jewelry for almost fifteen years and in every design job I had, I was always thinking if this was my line, how would I do this, what would I change, etc. I felt like I had seen it all, but really when I started to look there were definite holes in the market. It felt polarizing, there were two distinct buckets: reasonably priced, not-so-great design or great design and quality, outrageous price with nothing in the middle, which as a consumer I found so frustrating. Of course, after that I started to speak to my girlfriends, family, literally, everyone and anyone and I knew I wasn’t alone in that thought. Fast forward to today and voilà, introducing The Last Line. The brand is two-fold: The Heart and The Soul, everything is designed in Los Angeles where I live with my family. 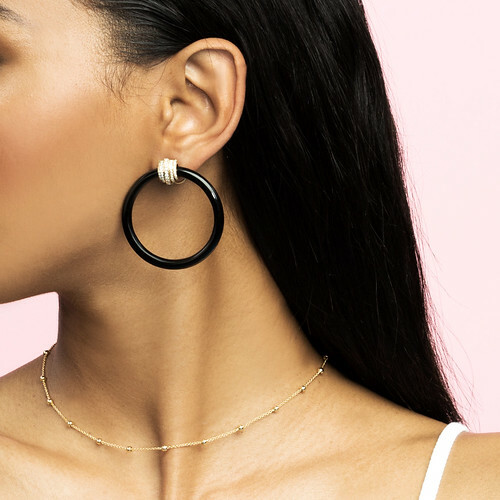 The Heart pieces are the core of the brand and your jewelry box; they’re the staples that you never want to take off and that make you feel instantly put together. The Soul pieces are the jaw dropping, make your girlfriends ask, “where did you get that,” expertly crafted, special pieces you want to treat yourself to. Of course, I believe you need both! I did a lot of research before we decided to officially launch, I mean truly did research: price, design, size, color, the list goes on. The symbolism of our brand name The Last Line is that we want to be THE place for all of your fine jewelry wants (and needs! ), the last place you’ll ever need to go. There were a few things that were important for me when launching TLL, one of which was pricing. Fine jewelry shopping can be intimidating, a lot of which can be the result of pricing. Because we are direct to consumer, we can present amazing, quality pieces without the retail mark-up. It was also important for me to be (and stay) hands-on with the line; I think building a relationship from the beginning with your clients is key for any brand’s longevity. Being direct-to-consumer is not only a more personal approach, but it’s service driven, which is important when spending $2,000+ on a piece of jewelry online. All of our pieces focus on craftsmanship, much of the Soul collection being handmade in Los Angeles. Having a background in production (and as I jewelry shopper myself) it was important to use quality materials that look great and merit their cost. 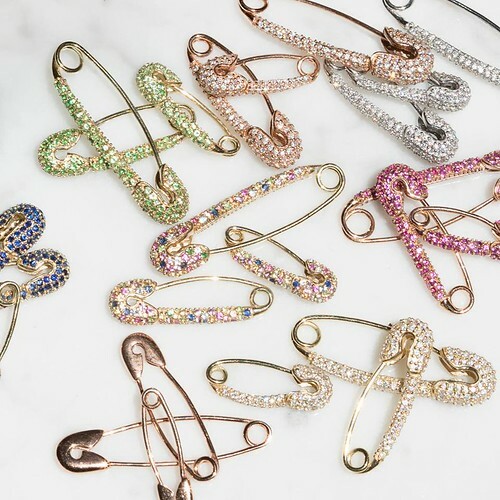 One of the coolest things about the line for me, is the actual assortment of jewelry is personal, I wanted to present options, in each drop you will have classics with a twist and then some really fun special pieces. 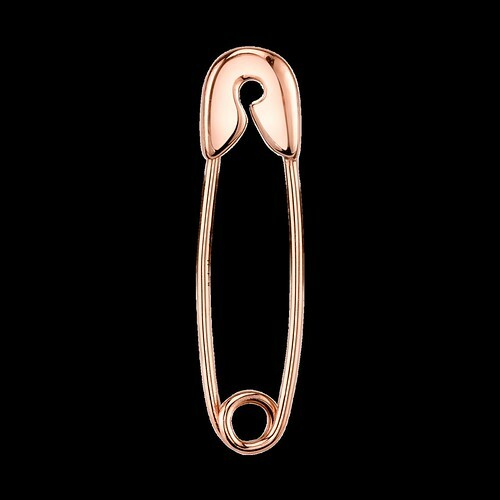 In the first drop, we have everything from a perfect gold sphere stud (in over 5 sizes!) to our signature flower earring in a variety of stones. 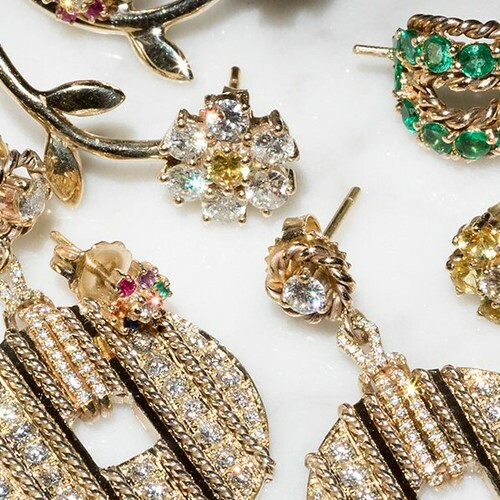 In the second earring drop, there are solitaire studs in a variety of stones, lots (!) 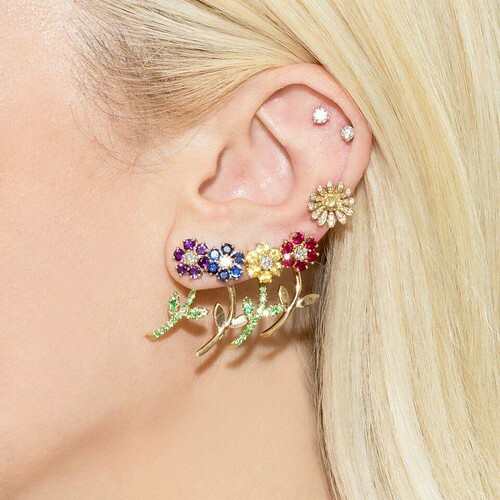 of diamonds, from line earrings, to ear cuffs, to a perfect tennis drop earring and of course this amazing doubles spiral hoop earring you may have seen Nicole Richie sporting. And in the third earring drop, well that’s a secret for now. I truly hope that I am working on The Last Line, forever. I love to design of all types of jewelry and I love to create. I can’t stop—it is my obsession. I want to continue to create pieces that connect with women all over the world, it is important for my pieces to speak to the woman who’s just starting her jewelry collection and also excites the existing jewelry client who has her go-to pieces but is looking for that perfect_______. I want our pieces to become heirlooms; they should feel current but not trendy. 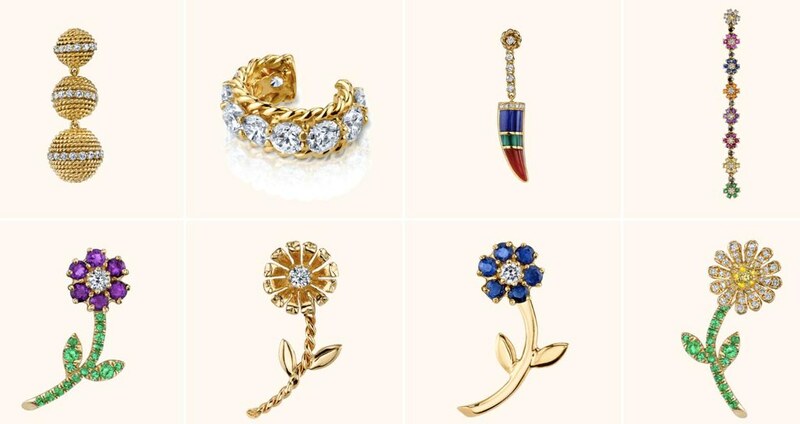 For me, it is how a woman mixes her jewelry collection that makes it cool. I wanted to create pieces that can be worn but not worried about. The earrings can all be purchased individually, so mixing it up is fully encouraged! My engagement ring was one of the first pieces of The Last Line. My husband actually designed it and worked with the jeweler for months. It’s was something we always talked about it and one day there he was with it and it all took off from there —our marriage, our line, everything. 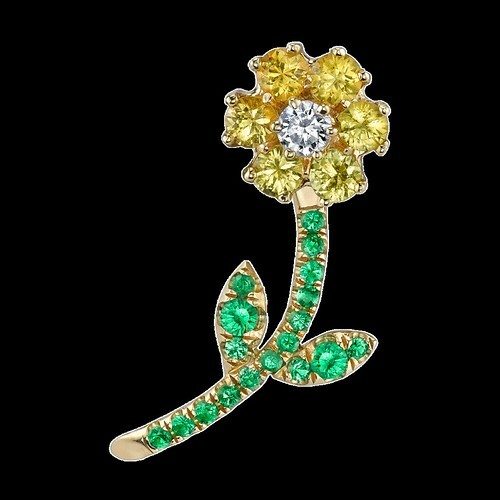 From the line, my favorite piece right now that I own is a 3-way tie between the diamond teddy flower earring with the pave tsavorite stem from the Goldie earring, the medium rose gold diamond safety pin and a special bracelet inspired by childhood which will drop soon. This sponsored post was brought to you in collaboration with The Last Line.